It’s that time of year when you might receive a meeting notice titled “2018 Budget Planning Meeting”, or a link to a data entry program, or a spreadsheet with line items for you to reconcile. Where do you start when creating a budget for your company’s corporate relocation program? Corporate relocation programs often include several activities, all of which can impact your budget. Careful budgeting for 2018 will provide peace of mind over the upcoming year as you anticipate and account for the major points of your company’s workforce mobility requirements. Closely examine the past few year’s expenses and reports to identify areas that consistently exceed budget, or areas where you can reduce budget. 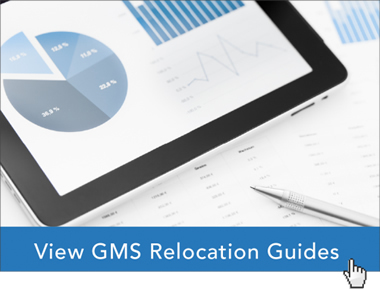 The dynamic nature of the relocation process may result in additional costs related to employee documentation or tax obligations. Be careful to research trends in the data so you can identify areas where your policies might need to adjust, or where a competitive analysis would be helpful. Note specific areas generating out-of-policy costs and be sure to include contingencies in your 2018 budget. You should review your corporate relocation policy to examine areas that should be adjusted to keep your company competitive with your industry peers. Consider process improvements and new technologies for expense reporting and program management for additional savings and procedural enhancements. Compliance to new or revised regulations might result in additional costs to include in your budget. Business expenses are often tracked through several reporting systems. Many companies account for business expenses that occur in one period by setting aside amounts known as accruals against which future expenses are allocated. As you prepare your budget, review the prior year’s accruals and note if you should budget for similar amounts to ensure a smoother expense tracking and recording process, especially in light of cash management requirements. Has the company announced any strategic initiatives that might result in additional employee relocations? Look for information related to facility planning, sales location development, and company expansion plans. A strategic partnership with another firm might result in temporary or permanent employee relocations. Today’s workforce is more responsive than ever before to changing company requirements, so be sure to plan for contingencies. Global Mobility Solutions is the corporate relocation industry leader. Our mobility consulting team understands how to create budgets that accurately reflect the corporate relocation market. We have helped thousands of companies determine their budgeting needs, and our team is always ready to assist you in your budgeting process. For expert guidance on your 2018 budget and corporate relocation policy, contact us online or call us at 800.617.1904 or 480.922.0700 today.